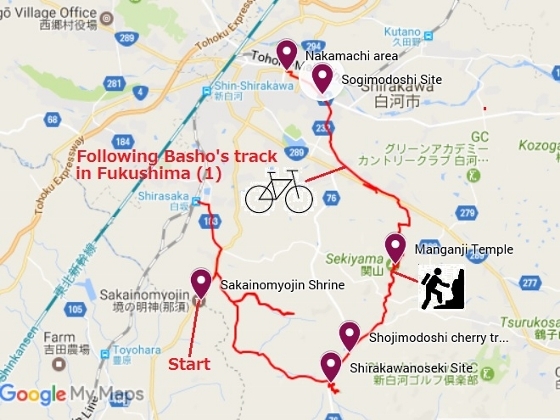 A series of fine weather was expected from today, so I decided to go on a bike journey following Basho’s track in Fukushima. Matsuo Basho was a highly honored haiku poet in late 1600’s. 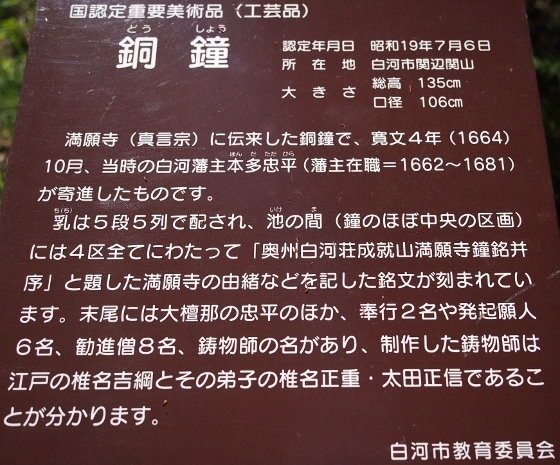 He traveled across Fukushima, mainly along old Oshu Highway from south to north in 1689. 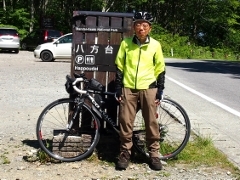 Photo above was Manganji Temple on the summit of Mount Sekiyama (618m) as of today, where he climbed and visited on his second day in Fukushima. 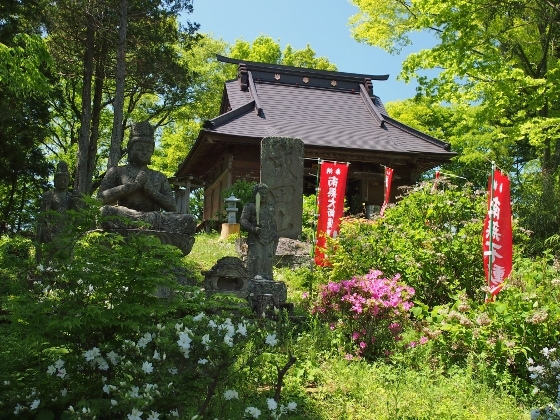 The temple was established in 730 by a Buddhist priest Gyoki. 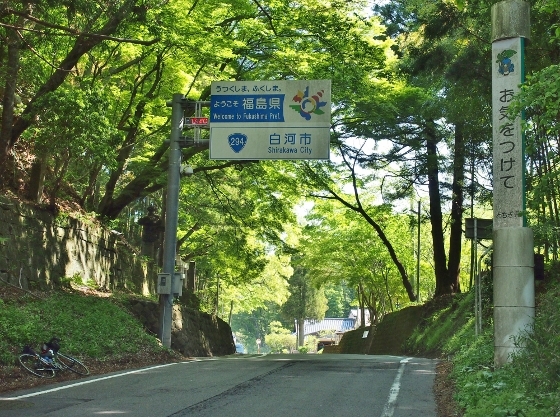 Starting from the beginning, Basho entered into Fukushima from Tochigi Pref. in the south. 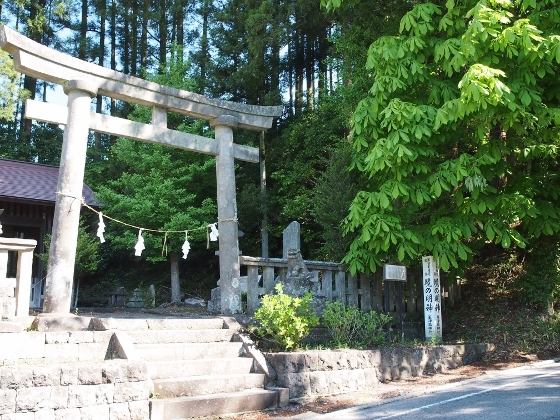 On the border between Tochigi and Fukushima there were two shrines, both of them called Sakainomyojin, as shown in the pictures below. God and Goddess who guarded traffic safety on the border pass were enshrined. 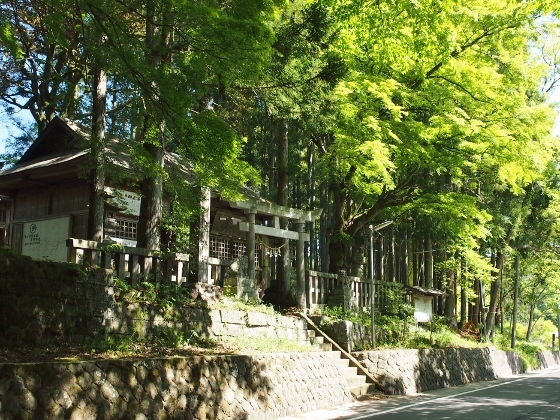 Sakainomyojin Shrine in the Tochigi side is shown above. 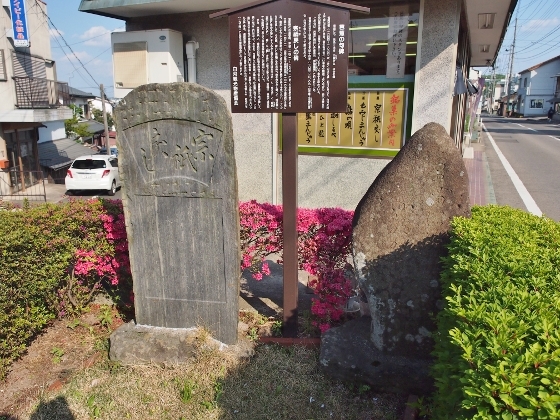 There was a border sign board between the two shrines as shown above. And Sakainomyojin Shirne in the Fukushima side is shown above. This was the very first place he visited in Fukushima. Meanwhile, I packed my bike and took a JR Tohoku Line and got off at Shirasaka Station which was the nearest to the border and started pedaling to the shrine. Then he traveled westward to visit Shirakawanoseki Site as shown above. This was an ancient barrier site which was established in 800’s. 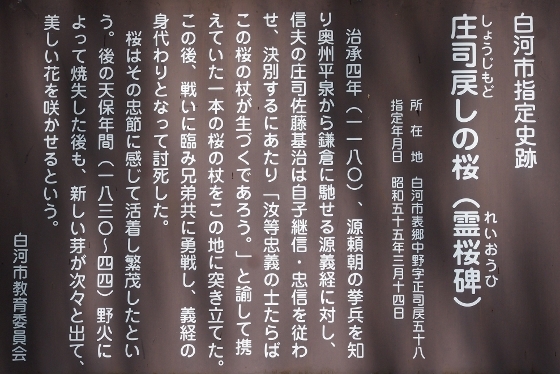 The name had been used in a number of Tanka and Haiku poems. 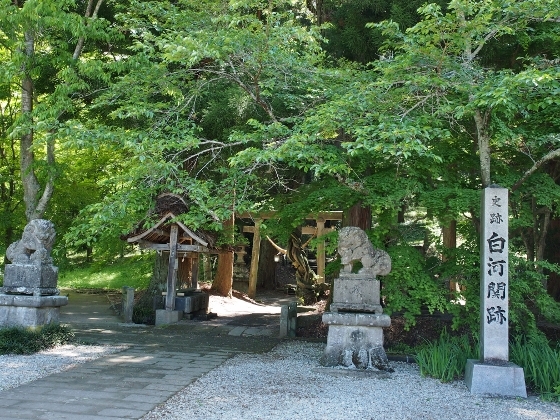 Basho then moved northward to visit Manganji Temple on top of Mount Sekiyama. 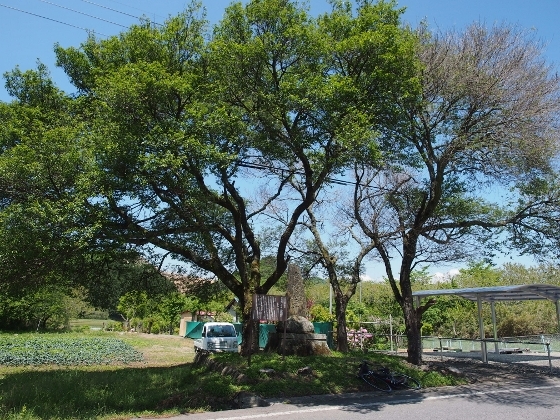 On the way, he stopped at legendary Shojimodoshi cherry trees as shown above. He finally arrived at the foot of Mount Sekiyama. The mountain looked like above from the southern side today. 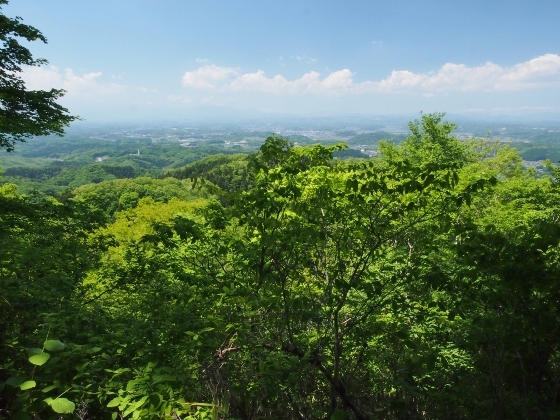 Basho started to climb from the south (Naimatsu trail). 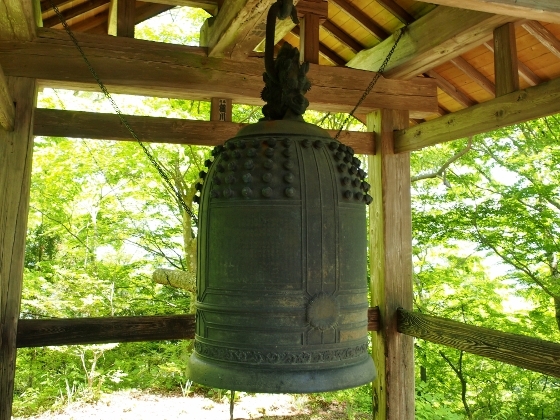 On top of the mountain beside the Manganji Temple, he found a large bronze bell. This was donated by Shirakawa lord Honda Tadahira in 1664, and was designated a national art treasure. From top of the mountain a vast area could be overlooked as shown above. 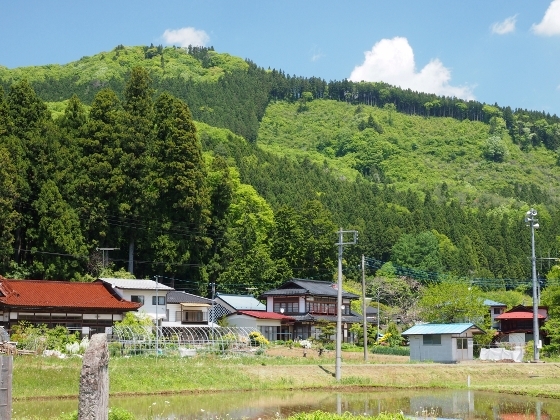 Basho descended along the northern trail and then walked toward the castle town of Shirakawa. 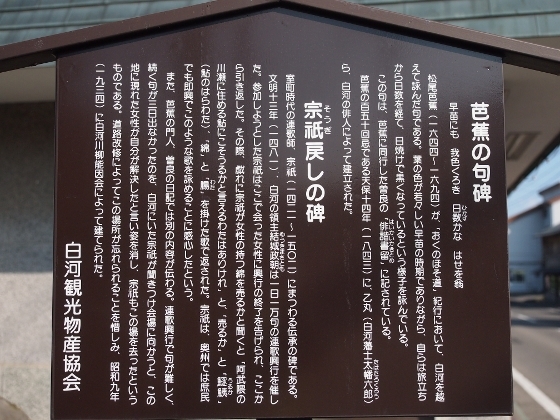 On the way, he stopped at another historic place called Sogimodoshi Site as shown above. Then he finally arrived at Nakamachi and visited his friend. I stayed at a hotel at Nakamachi tonight. The story will continue tomorrow.